We’re so excited to officially be part of Local First Indiana! Local First Indiana is a non-profit organization committed to supporting and promoting locally owned independent business by educating the public, facilitating collaboration, and engaging in outreach in order to create a more economically and environmentally sustainable local community, while preserving the unique local character. 1. More money stays in Bloomington. For every $100 spent at a locally owned business, $68 stays local. That means that locally owned businesses purchase more of their goods and services from other locally owned businesses and pay more local taxes. For every $100 spent at a non-locally owned business $57 leaves the community. Find out more here. Local ownership means local stewardship. Local owners can decide how to operate their company, who to purchase from, and who to donate to—and that’s how they keep it local. Big chains rely on global corporate supply chains and marketing. You can sit down and talk with the owner. Local businesses offer more personalized service, because they don’t have to follow protocol from a distant headquarters. Local businesses rely on relationships, quality, and personal service to sell their products and services—not billion-dollar advertising campaigns. 5. Give more to our community. Small businesses give two and a half times more per employee to local nonprofits than larger firms. Local businesses keep jobs local—they won’t move operations to another country. Creative-minded entrepreneurs are more attracted to places with a distinct character created by the unique institutions of a place. Local owners are often more invested in the environmental conditions of their city. Locally owned businesses are usually better situated for walking and biking, they support local agriculture, and they encourage local conservation efforts. 8. Ensure public benefits outweigh public costs. Locally owned businesses pay taxes here—not in another state or on another continent. Those taxes provide us with services and infrastructure that we need. A non-locally owned big-box store creates an annual tax deficit of $468 per 1,000 square feet. 9. Preserve unique local character—that’s why we love it here. Local, independent businesses contribute to the unique flavor of Bloomington. 10. Encourage entrepreneurship and innovation. Diversity in local businesses encourages competition. Friendly competition sparks innovation, quality, entrepreneurship, and creativity. In an increasingly homogenous world, a strong local character attracts the best, brightest, and most creative talent. Want to know more? Here are some economic studies that show the benefit of locally owned businesses. Support local business in Bloomington, Indiana by learning more about Local First Indiana at their website. 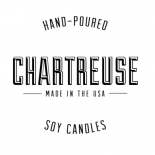 This entry was posted on June 21, 2013 by chartreusecandles and tagged business, buy local goods, buy soy candles, candles, chartreuse by annie, local, local first bloomington, local first indiana, shop local, soy candles.